e-Learning is still on the rise as the most popular form of delivered learning amongst global businesses. In order to be able to communicate with staff, clients and stakeholders across the globe, many business are turning to translation. e-Learning and other training materials can take many forms: from compliance training to reach multilingual employees, or instructional learning about products and services to reach global customers. Whatever the methods, it’s important that information is delivered not only in the correct language but also contains other elements, including personalisation, gamification and branding. In order to achieve this, focus is placed on technical authoring and instructional design. Business Development Manager, Sally, has recently had an article published in the Institute of Scientific and Technical Communicators’ industry magazine: The Communicator, discussing the similarities and differences between Technical Authoring and Instructional Design. 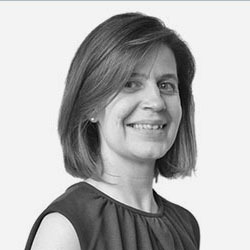 Business Development Manager Sally specialises in translations for technical, software and e-Learning content. With 4 languages and a Masters in Machine Translation under her belt, when she's not working, she plays the piano and sings with her local choir.